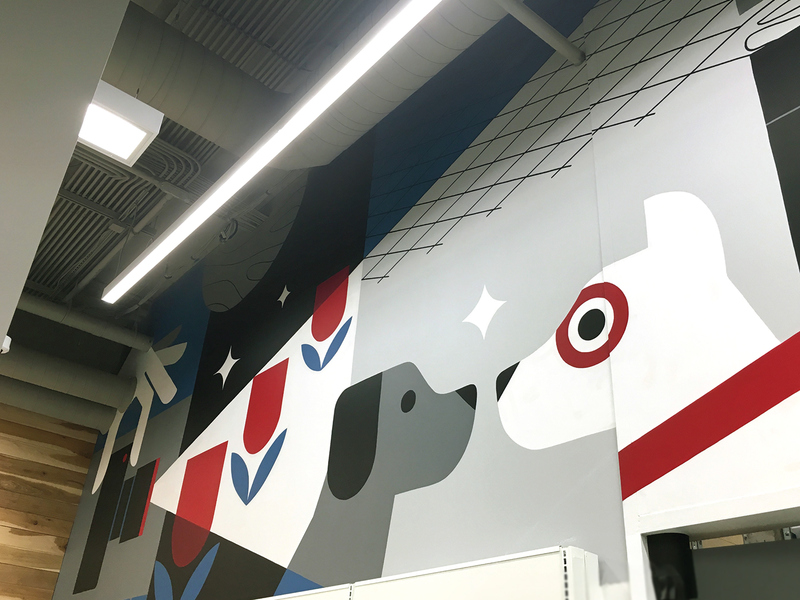 Target has been expanding into urban small-format stores, catering to individual neighborhoods' needs across the country. The newest of these has been opened in Uptown, Minneapolis, in what was previously a Cheapo Records store. Keeping with the authenticity of the long-time Minnesota brand, the goal was to capture the local flavor and the personality of the neighborhood. I was approached to illustrate and hand paint a series of murals as a love letter to the unique aspects of Uptown. From the robust nightlife to the proximity to many lakes and a strong cycling culture, there was plenty of subject matter to work with. 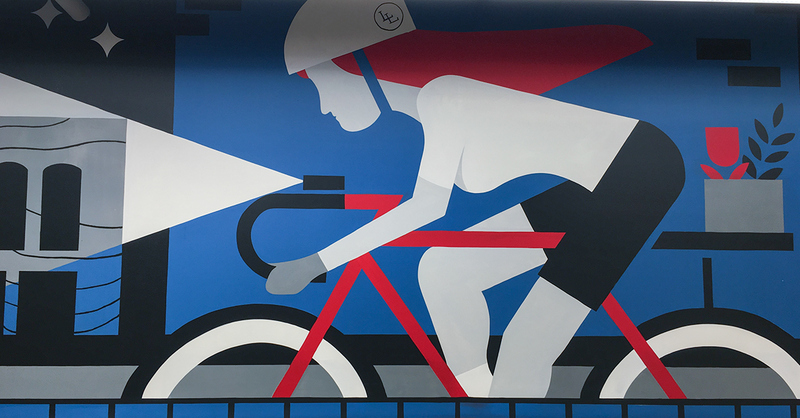 Hand painting was executed on a large scale with help from Dan Madsen of Dusty Signs. Three walls spanning about half the wall space in the store and a few thousand square feet were covered in a few hundred man-hours. 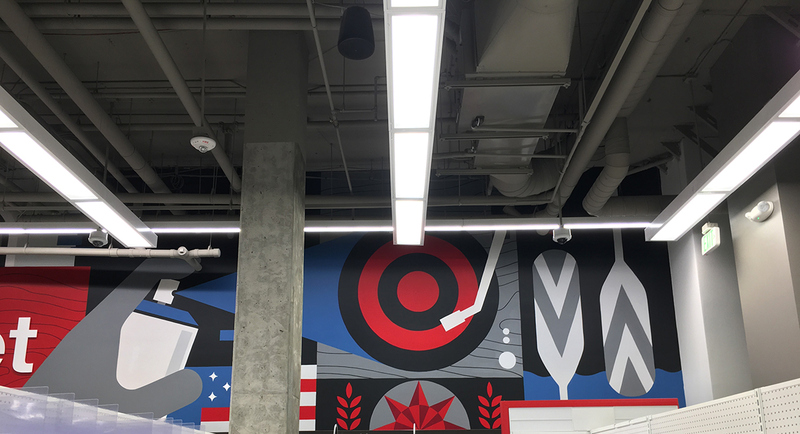 Target has been expanding into urban small-format stores, catering to individual neighborhoods' needs across the country. The newest of these has been opened in Uptown, Minneapolis, in what was previously a Cheapo Records store. Keeping with the authenticity of the long-time Minnesota brand, the goal was to capture the local flavor and the personality of the neighborhood. 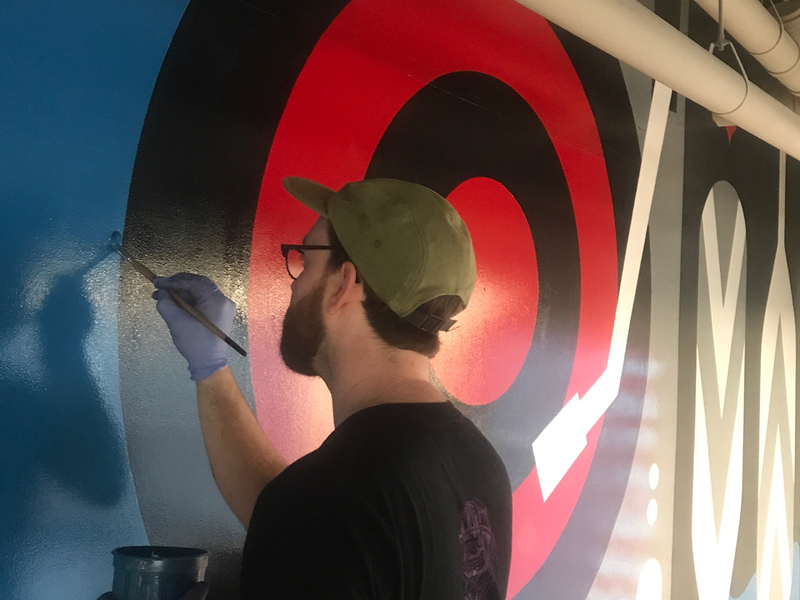 I was approached to illustrate and hand paint a series of murals as a love letter to the unique aspects of Uptown. From the robust nightlife to the proximity to many lakes and a strong cycling culture, there was plenty of subject matter to work with. 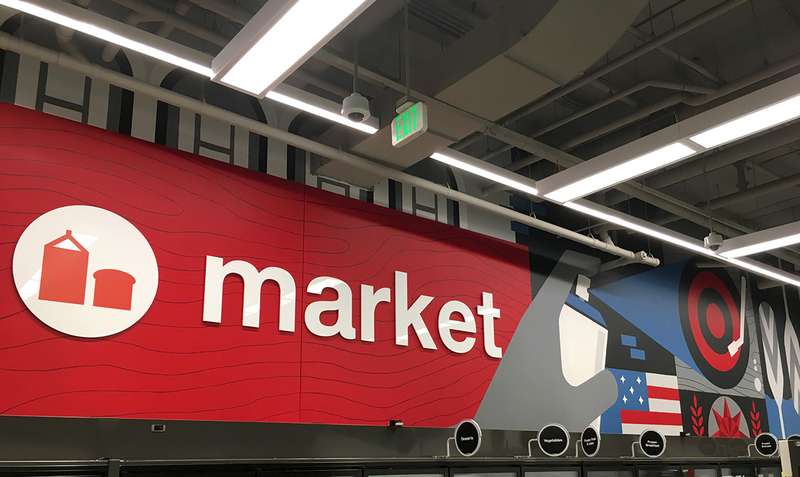 Hand painting was executed on a large scale with help from Dan Madsen of Dusty Signs. Three walls spanning about half the surface area in the store and a few thousand square feet were covered in a few hundred man-hours.